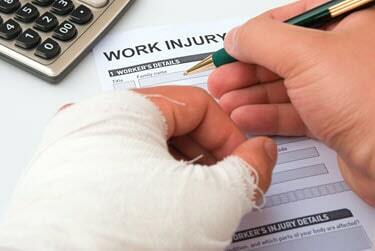 Suffering an injury on the job is bad enough with all of its attendant pain and disability. However, when the insurance company works overtime in suspicion of your claim, making it difficult to obtain the benefits to which you are entitled, it can make the situation even worse. In fact, some insurance companies will use investigators and some surprising “private eye” tactics to evaluate your claim and find any evidence that it may be fraudulent. Even though you are perfectly honest with your workers’ compensation claim, it is still important to understand these methods to ensure you do not give investigators any reason to doubt the validity of your claim. Sometimes insurance companies will hire private investigators to literally follow you around, with the expectation of catching you in the act of doing something you claim you cannot due to your current injury. Yes, someone may be video recording you secretly, particularly if your claim involves a particular disability. Insurance company investigators may follow you around as you run errands both outside and inside stores, malls, etc. Remain honest at all times about your physical limitations due to your injury and live within those limitations. If you do so, private eyes and all of their recordings cannot contradict your claim. Be honest with your doctor and during any testimony you may provide in your case. Insurance company investigators will seek to discover anything that contradicts your previous statements. If you live outside of your limitations or say something that contradicts your claim, even though your injury claim is valid, you may be suspected of filing a fraudulent workers’ compensation claim. Avoid living outside of the restrictions set by your doctor. Even though you feel like you may be able to perform certain tasks, it’s best to abide by your doctor’s professional judgment and avoid potential further injury. As well, if you perform activity outside of the doctor’s recommendations, private eyes from the insurance company may take notice, putting your claim in jeopardy. If you have been injured badly on the job and you are concerned about the insurance company and its tactics, it is best to get legal support from an experienced workers’ comp attorney as soon as possible. At Plaxen & Adler, P.A., we understand the devastating impact of suffering an injury in the course of your work-related duties. With more than 30 years of experience helping injured workers, we are committed to helping you obtain the financial recovery you need to cover lost wages and medical expenses while you are unable to work. Allow us to handle your claim and ensure your rights are protected against any resistance offered by the insurance company. Call our office in Maryland today at 410.988.4449 or complete our contact form to arrange a free consultation about your case.